Size: 24" x 36" & 26" x 45" . • Sticky mat ensures effective particle control and is processed in a clean room environment to ensure compatibility with ISO class 5 operating conditions. Being one of the reputed organizations in the market, we are engaged in providing an exclusive range of Sticky Tacky Mat. Get maximum protection with the Sticky Mats for foot borne contamination. Each sheet has a strong adhesive coating that removes dirt on contact. 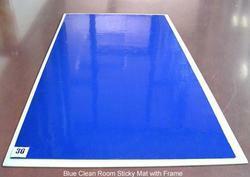 Sticky Mats provides the most economical way to meet cleanroom needs. We are offering Sticky Floor Mats to our clients. 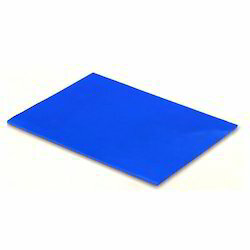 Sticky Mat, Mat Size: 24" X 36"
sticky mat is used at the entrance of any office, lab, electronics manufacturing area. Where dust control is required. Nowadays Multi-layered mats are the best way to prevent contamination spreading into surgery rooms by the introduction of tracked-in, bacteria-laden dirt and debris.